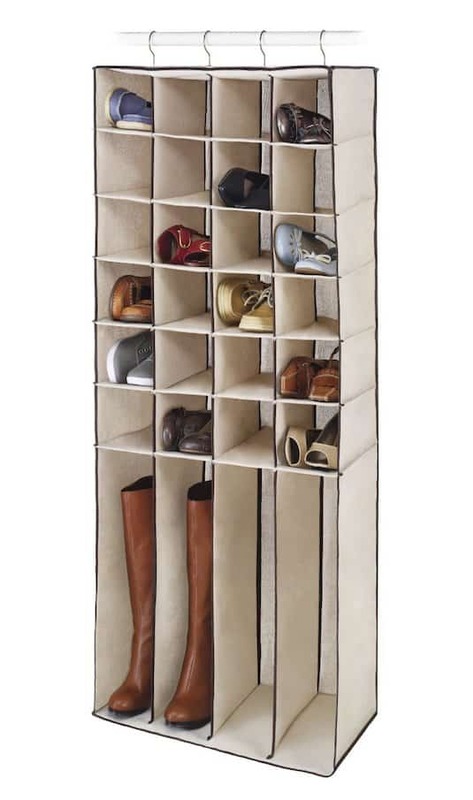 There are several shoe storage items like this available, but the reason I like this one in particular is because of the boot storage compartments. And, after reading the reviews, it turns out you can actually fit a pair of boots in each slot, making room for four pairs instead of two. 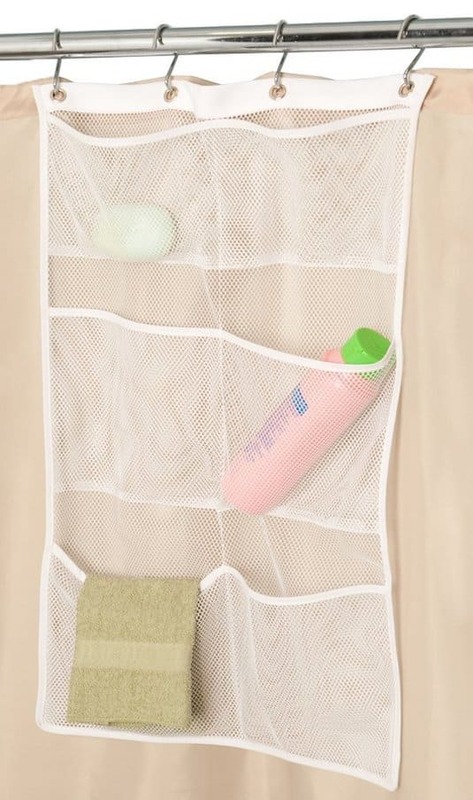 This would be nice for a coat closet to keep everyone’s shoes organized and off of the floor! Pick one up here on Amazon. 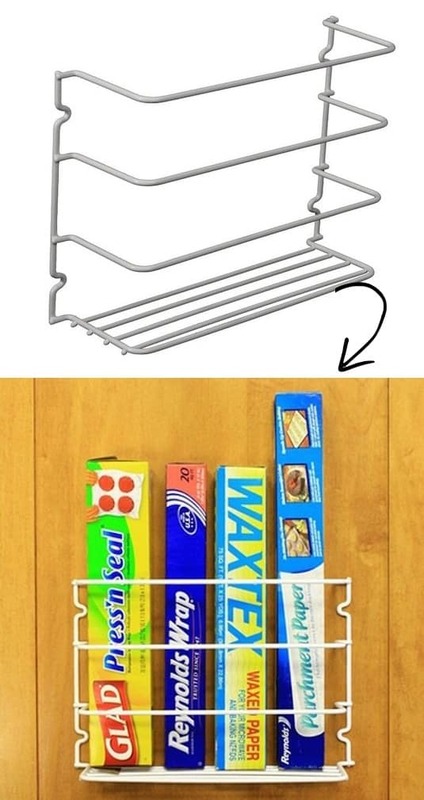 I have my rolls of foil, plastic wrap and wax paper all stuffed into a drawer in my kitchen but have been looking for a better solution to free up much needed drawer space. This rack is designed to hold them perfectly and comes with hardware to easily mount it behind a pantry door or cabinet. I would stack 2 or 3 of them behind my pantry door for plastic bags, spaghetti boxes, Pringles, or anything else long and narrow that would fit! Pick them up here on Amazon.